I don't mind snow. In fact, I LOVE to watch the snow fall. 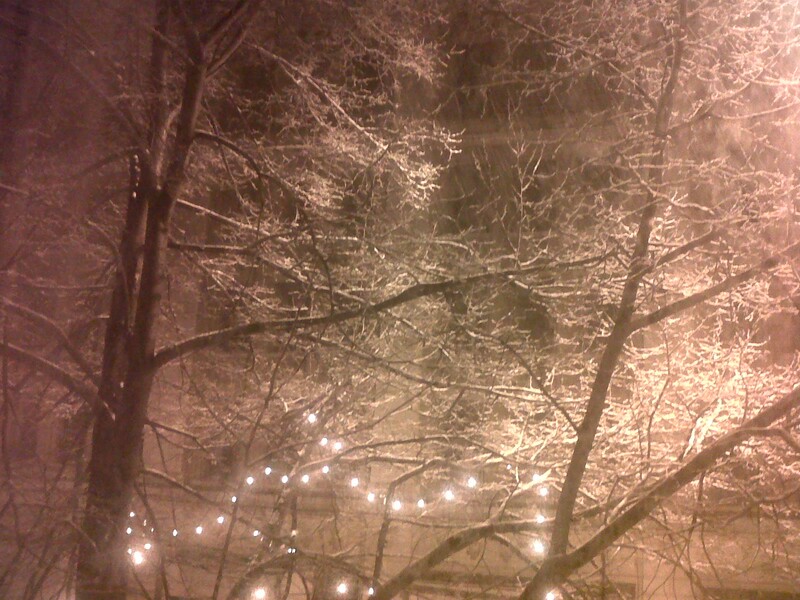 So when I got up last night and looked outside to find this, snowflakes falling down, I smiled. For a brief moment. But y'all, I am just sooo ready for spring. I tend to get restless and itchy for it in March and April. Even if we haven't had a bad winter, I am just ready spaghetti to not wear a zillion layers and see things growing and feel warm sunshine on my face. Yes, snow has it's moments. But come March first, my patience wears mighty thin with the fluffy white stuff. I totally feel ya! I love to watch a nice big snow storm, but lately we haven't gotten any snow -just nasty cold windy days, yuck! I am so ready for spring! We have been getting flurries on and off all day. REally good weathermen said not to see them until tonight. I hope this doesn't cause issues because I have plans for tomorrow I don't want cancelled.